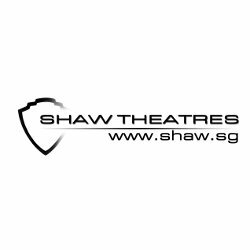 Subscribe to get deals from hundreds of merchants including the best of Shaw Theatres Pte Ltd ! Valid till 30 September 2019. PAssion Silver Card / PAssion Silver e-Card must be presented upon payment. Not valid with any other discounts, promotions or privileges. Valid for one concession ticket per member. Valid for purchase at box office only. Not applicable for online, group or corporate bookings. Not valid on eve of and on Public Holidays. Not valid for premium priced movies such as Shaw Theatres premiere, Movie Marathons, Film Festivals, Hindi / Tamil movies, special previews & other special themed movies. The management reserves the right to amend the terms and conditions without prior notice. Please always check with the merchant on the validity of the promotion before purchase. Valid until 31 Dec 2019. Valid for tickets purchased online and at all Shaw Theatres box offices.. Discount is not valid on the eve of Christmas Day, Christmas Day, New Year’s Day Eve, New Year's Day and Chinese New Year Eve and 1st & 2nd day of Chinese New Year.. Not valid for mobile or corporate bookings.. Each SAFRA card holder can purchase a maximum of 10 tickets only.. Member must purchase ticket in person with valid SAFRA card and NRIC for verification.. Not valid for premium priced movies i.e. IMAX, Shaw Theatres premiere, 3D movies , movie marathons, film festivals, Hindi/Tamil movies, special themed event movies.. Not valid with other discounts, offers or promotions.. All promotional prices valid from 16 Oct 2013.. Please always check with the merchant on the validity of the promotion before purchase. Valid for tickets purchased online and at all Shaw Theatres box offices. Not valid for mobile or corporate bookings. Each SAFRA card holder can purchase a maximum of 10 tickets only. Member must purchase ticket in person with valid SAFRA card and NRIC for verification. Not valid for premium priced movies i.e. IMAX, Shaw Theatres premiere, 3D movies , movie marathons, film festivals, Hindi/Tamil movies, special themed event movies. All promotional prices valid from 16 Oct 2013. Valid until 31 Dec 2019. Valid for tickets purchased online or at Shaw Theatres box offices located at Shaw Balestier, JCube, Seletar, Lot One and Waterway Point only.. Discount is not valid on the eve of Christmas Day, Christmas Day, New Year’s Day Eve, New Year's Day and Chinese New Year Eve and 1st & 2nd day of Chinese New Year.. Not valid for mobile or corporate bookings.. Each MovieMax card holder can purchase a maximum of 10 tickets only.. Member must purchase ticket in person with valid SAFRA Card.. Not valid for premium priced movies i.e. IMAX, Shaw Theatres premiere, 3D movies (except selected locations for MovieMax Members), movie marathons, film festivals, Hindi/Tamil movies, special themed event movies.. Not valid with other discounts, offers or promotions.. Please always check with the merchant on the validity of the promotion before purchase. Valid for tickets purchased online or at Shaw Theatres box offices located at Shaw Balestier, JCube, Seletar, Lot One and Waterway Point only. Each MovieMax card holder can purchase a maximum of 10 tickets only. Member must purchase ticket in person with valid SAFRA Card. Promotion is valid till 31 March 2019.. Valid for a maximum of 4 movie packages per Cardmember per day.. Payment must be made with an OCBC Credit/Debit Card.. Promotion is valid at all Shaw Theatres box offices, unless otherwise stated.. Promotion is not valid for online, mobile or corporate bookings.. Promotion is not valid for premium priced films (i.e. IMAX, Shaw Theatres premiere, Film Festivals, Movie Marathons, Hindi/Tamil films and other special themed event films).. Not valid in conjunction with other discounts, promotions or vouchers.. Shaw Theatres Pte Ltd terms and conditions apply. Please contact the merchant directly for full details.. Notwithstanding anything herein, OCBC shall not at any time be responsible or held liable for any defect or malfunction in any offer, and/or for any loss, injury, damage or harm suffered or incurred by or in connection with the use of any offer by any person.. OCBC shall not be responsible for the quality, merchantability or fitness for any aspect of the offers.. OCBC reserves the right to vary/amend the privileges or terms and conditions without prior notice.. Please always check with the merchant on the validity of the promotion before purchase. Shaw Theatres is a cineplex with 9 cinemas in Singapore currently in Lido, Bugis Junction, Lot One, Century Square, Nex, Balestier, JCube, Seletar Mall and Waterway Point. A first class experience with crystal clear sound system Dolby 7.1, spacious comfortable seats with ample leg room and sharp screen projection, Shaw Theatres is a very popular theatre well loved by Singaporeans. Shaw also has IMAX theatres and their own 3D glasses for moviegoers that will revolutionize your movie experience, making it highly enjoyable for all. With the addition of fast-food restaurants, lounges and eateries, moviegoers will be able to wait for their movie comfortable in a clean modern looking area.